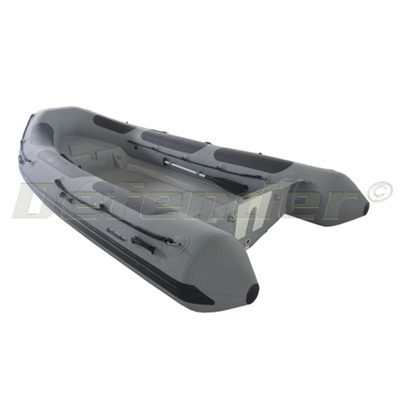 This rigged 460 RIB is custom built for Defender with Commercial Grade, 1670 Decitex Hypalon fabric. Boat Length: 14' 5" to 15' 4", Max. Beam Width: 76"